So I missed posting yesterday, by the time I got home for the night and worked out it was 10 and I was wiped. Anyway, today I had a long day at school, but I take solace in the fact I only have two weeks left! I’m looking forward to getting done sooooo much. I did do a workout yesterday even though it should be a rest day. I know I will be resting monday so I figured I would switch the day’s up. The workout would of been Asylum’s back to core, but I wasn’t feeling that, so I made my own and it was a blast.Descending pyramid 5-1 pull-up, chin-ups, cardio dumbbell lvl1 20lbs, and 10-5 diamond jumps followed by 15,10,5 kettle bell swing and 5-3-2 push-up jack burpee’s. Try it, it’s tougher then it sounds. Today would of been asylums speed and agility, but again I wasn’t feeling it. 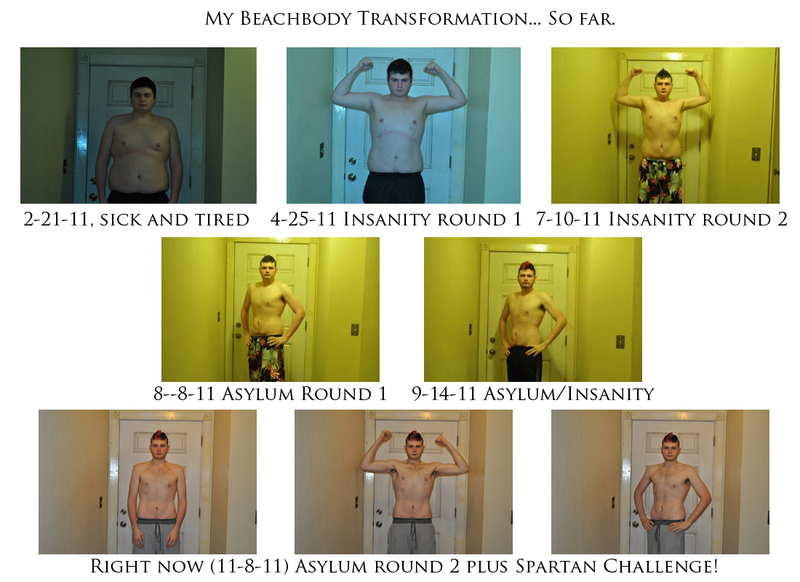 I did P90x Ab ripperX followed by Insanity’s fast and furious, now that felt good. Something I have learned over the last few months if listen to your body, do what you are feeling, and don’t feel guilty about it. If you are following a program and you don’t feel the workout that day but you are digging a run, or maybe a swim, go for what you are feeling, your body will thank you. Also, if you are feeling totally run down and drug out, REST. You body needs it, and it will thank you for it the next day when you can go all out again. Anyway, dinner tonight was INCREDIBLE! 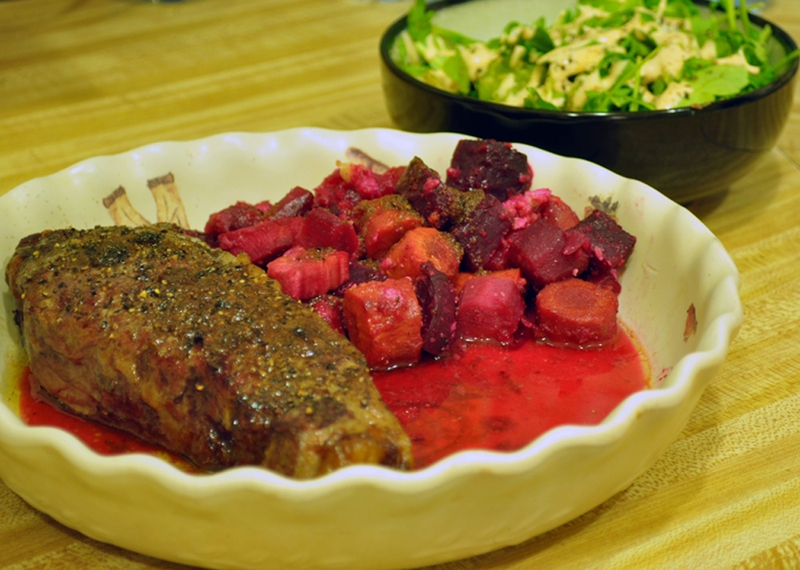 I made a arugula salad with a homemade spicy ranch, beet casserole, and an organic, grass fed, dry aged rib eye steak (Local from holder brother beef) drizzled with a garlic white wine sauce. I’m so full now, but it was worth it. Oh so worth it. Feel free to leave any comments guys, I would love to hear what you have to say. That’s the motto of the workout I did last night. Rocked some Asylum vertical plyo, and let me just say, it was a BEAST! Also, if you ever thought that jump roping was “easy”, please for the love of all that is holy, do this video and come talk to me afterwards. Just be warned you might have welts on your legs after. Or maybe it’s the lateral jumps… Hmmmm, I can’t decide! A lot of the moves feel like playing when I was a kid, haha. Of course Matt came over and Rocked it out with me, always enjoy having his company. 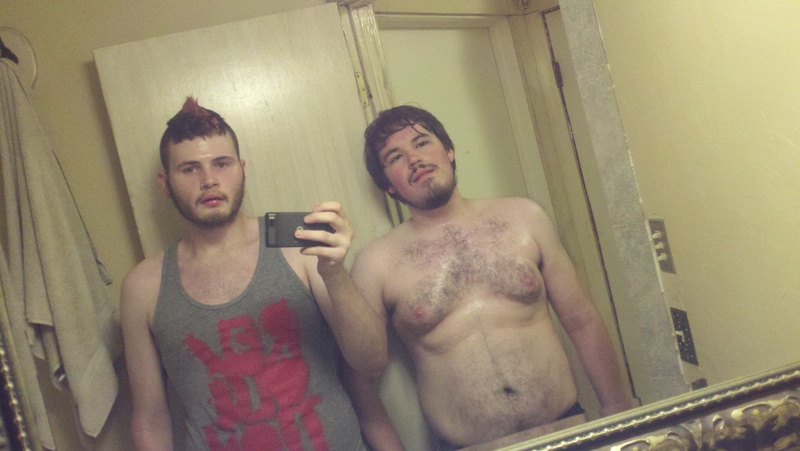 I also got the after workout, soaked in sweat picture of us to share with you guys! So I know it doesn’t totally follow what this blog is about, but I just want to say I love the clients I have at work. Last night was such a good night at work, and it reminded me why I love my job, very good to have after a long day at school yesterday. Well, that’s all for know guys, I will try to post up some stuff later today. If I get a chance I might make a salad and give you guys a quick recipe too! Take care and Dig Deep!